System allows for multi-part type inspection of the same part family without tooling change over. 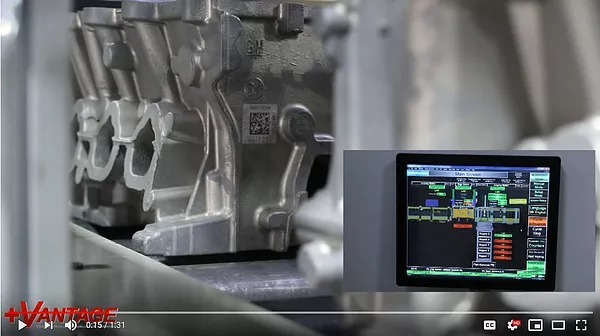 The machines computer recognizes the part coming in based on the 2D-matrix on the part and will either gage that part or reject it based on the part being fed. Good parts receive a stamping on their way out of the machine exit conveyor. The +Vantage Automatic Carrier Inspection Gage, capable of sub 30 second tact time, is gravity fed from a customer provided incoming conveyor. This gage measures 4 or 5 different OD dimensions, depending on the part it is fed, and was initially set up to accept 5 different part types from 3 different families. 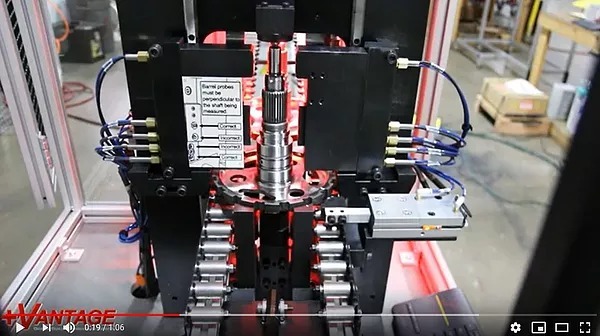 Automatic post process vision inspection system for struts. Parts are bulk loaded to hopper and discharged at random to continuous feed conveyor with under system return lane. 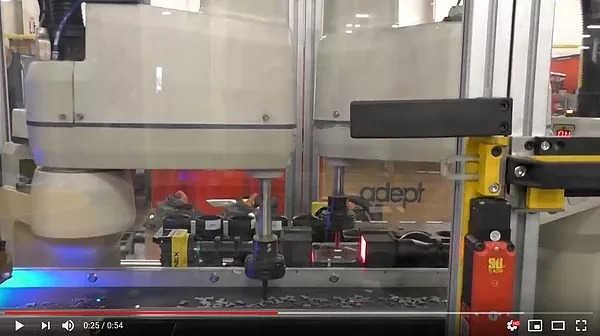 Two vision guided robots pick parts with proper orientation from conveyor track. Four high resolution machine vision cameras with telecentric lenses are used for inspection. 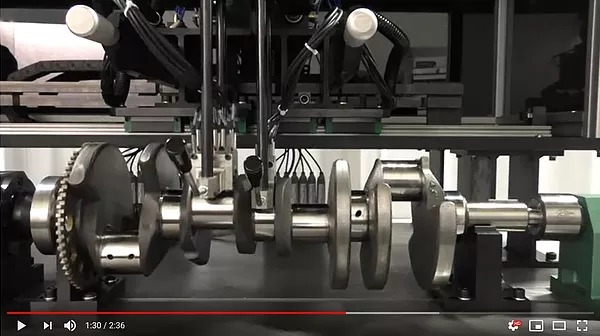 Precision measurement of crankshaft features including true roundness. 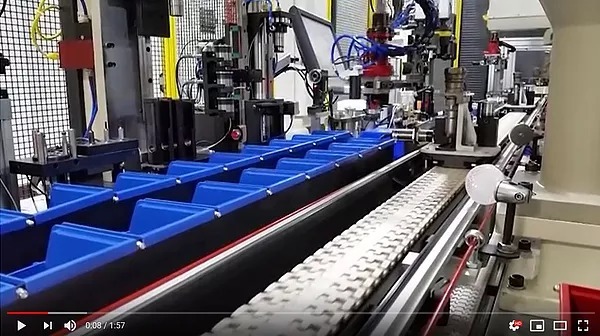 Automatic assembly line for fuel injectors. Palletized conveyor transport injector between assembly stations. This section of line has two robot assembly cells.